For those who love simplicity, well, this is great one for them. 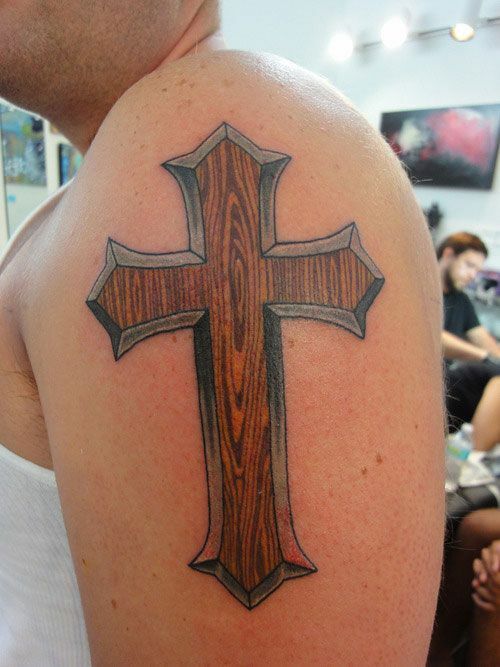 The wooden cross tattoo is plain but nicely set on the arm without any other drawing. 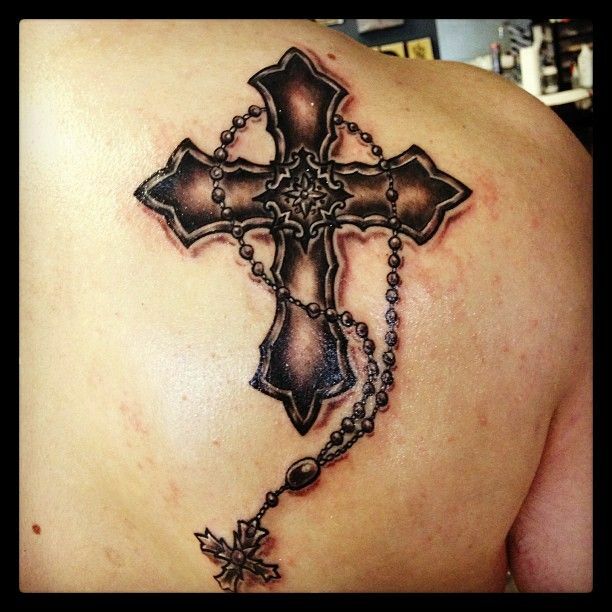 This is one of the few clean cross inspired tattoo around for those who don’t want a lot of images on their bodies. 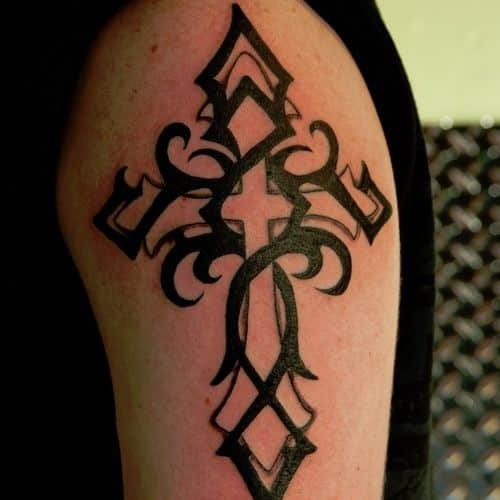 This is another symbol cross tattoo but goes a step further with several decorations on the cross. Both tips of the cross appear sharp with the cross perfectly fitting the arm where it can easily be seen from a distance. A small one but very symbolic small cross tattoo idea for men on the hand. It is not easily seen but one most Christians will love to have as it does not attract much attention. Well, a unique one with what appears to be an angel in the form of a cross. 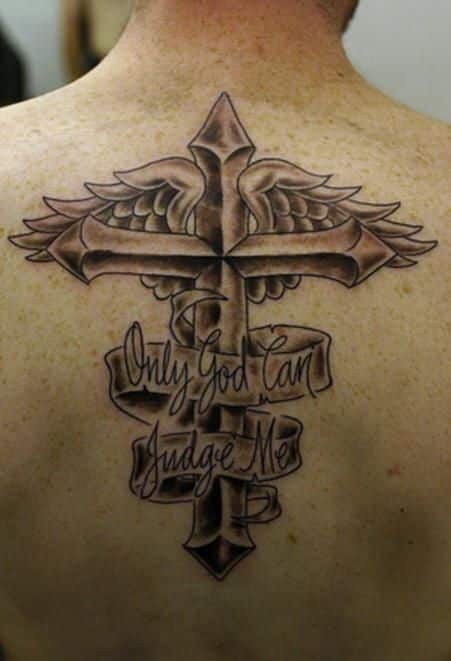 This cross tattoo seems to have what looks like a head and wings with strong words at the bottom, ‘Only God Can Judge me’. The perfect tattoo for passing messages across to those who judge you. 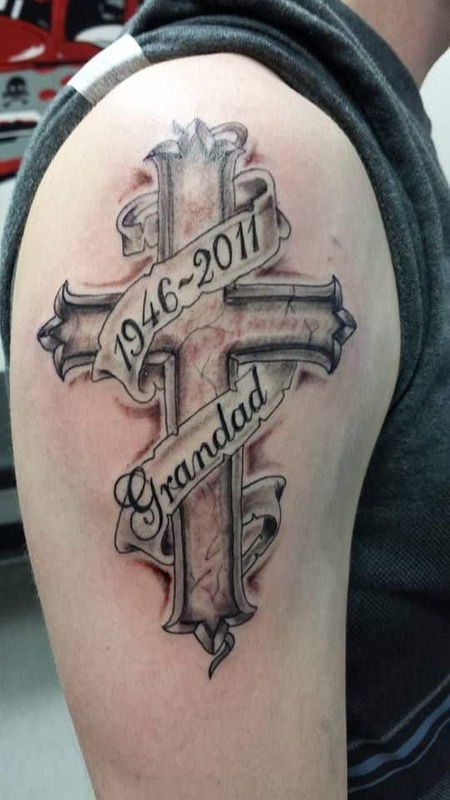 This is a remembrance cross tattoo and great way to remember your loved ones. The cross is perfectly imprinted on the arm with the name of your loved one who passed away and the time they lived in earth. Few people would love to be reminded of their loved ones as it brings all the emotion. Nicely crafted on the right part of your back, this cross tattoo is entwined with a rosary which is nicely decorated on your back. The cross is a short one with the rosary extending down past the level of the cross. It appears to be a steel of a cross tattoo crafted from some metal material. The tattoo has several small tattoo engravings with the point of cross crafted to fit in a small circle. This is a small one on the fro part of the arm imprinted in dark colors. 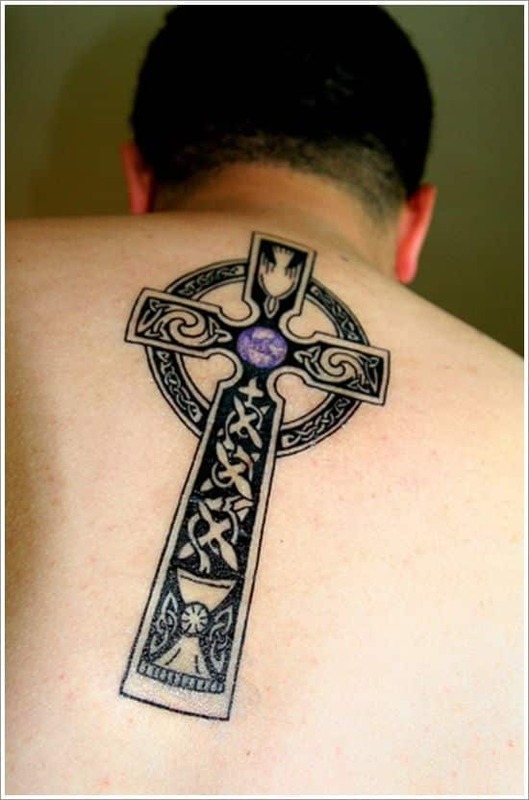 The cross tattoo appears to be a Celtic cross with a triangular shape and circular shapes enclosing the cross point. 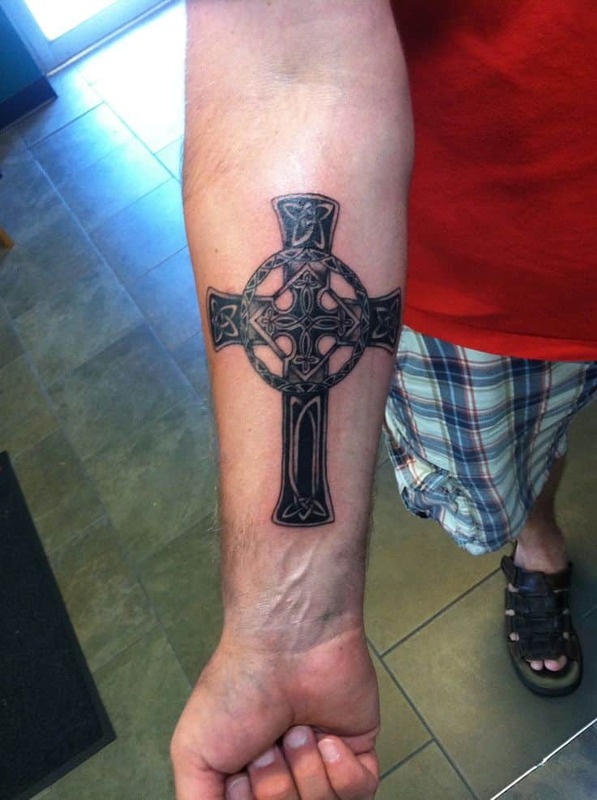 There are decorations on the top end of the cross and sideways making the tattoo look nicely on the arm. This is a unique tattoo inspired from the ancient stories. 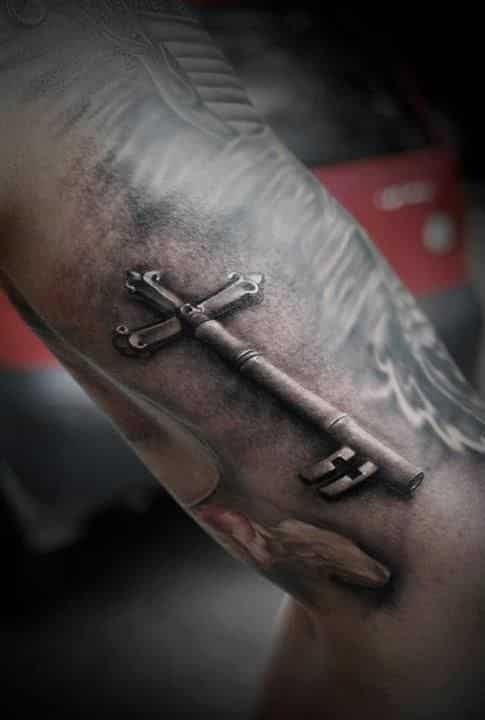 The tattoo is created in the form of a cross and a key which is a great symbol for those who believe in Christ. The key symbolizes Jesus as the key to great things. Several decorations around the cross hide the tattoo cross making it to appear engraved to some wall.